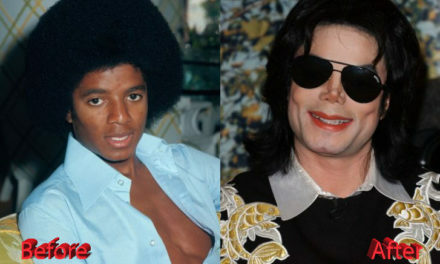 Halle Berry Plastic Surgery: It was just a Nose Job? Once a Miss USA and Miss World contestant, Halle went on to become an Academy Award winner – the only woman of color in the leading role category to date – and one of the most successful, respected and highest paid actresses in Hollywood. Aside from her Oscar-winning role, Berry is best known for being a part of superhero franchises like Catwoman and X-Men and for portraying a Bond Girl in “Die Another Day”. Almost in her fifties and with two children from previous relationships, one could be excused for thinking Berry would be ready to accept the aging process and step away from Hollywood. That is, however, not the case, and with the fantastic shape the star still shows in public events as well as in candid shots, it is no wonder Halle Berry plastic surgery rumors are abundant. Halle Berry plastic surgery stories are quite controversial, seeing as the star is quite vocal and admits she ’won’t say never’ to cosmetic procedures, but also claims she hasn’t had any yet. Also, while she looks suspiciously good for her age, the actress still has quite a natural look, and it is quite hard to point out exactly what she would have had done. 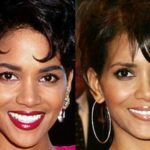 In spite of that, some Halle Berry plastic surgery speculation still circulates, with some comparing pictures from her pageant days to her latest appearances and pointing out the differences to her appearance before and after plastic surgery. One of such rumors is that Berry has had a nose job. 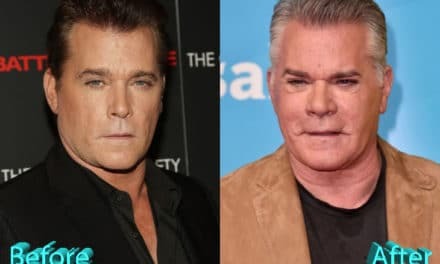 Nose jobs are quite popular in Hollywood, so it wouldn’t be surprising that her natural-looking yet thinner and smaller nose would be the result of a good surgeon’s talent rather than just her matured appearance. Along Halle Berry nose job rumor is that she’s had a breast augmentation somewhere along the line. The actress claims her generous bust is real, and for the most part, her bosom always seems to have been on the bigger side, but still, given the track records of Hollywood stars, one always has to wonder, even when the feature in question looks as natural as Halle’s. Finally, Halle is also said to have had Botox injections, seeing as her complexion is entirely too smooth for her age. Again, the star claims she hasn’t, but also that she’s regularly pressured to let go of her insecurities about ’not looking like herself’ and get at least this non-invasive procedure, which most believe she must already have had. 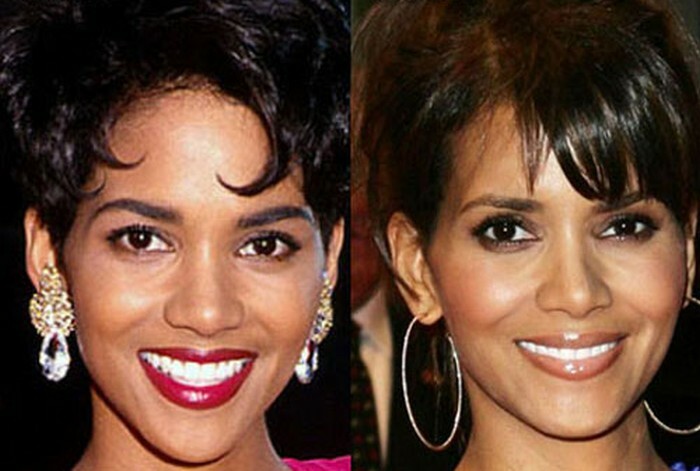 Halle’s attitude towards plastic surgery seems to be more negative as she ages. While she once claimed she wouldn’t say never, she’s now adamant that won’t have any procedures, making claims as outrageous as comparing the pressure to have surgery to being peer pressured to do hard drugs. Halle sure looks beautiful and hot for a 50-year-old mother-of-two, but her money better be where her mouth is when it comes to surgery, because it would ruin her public image to be out as a ’plastic surgery celebrity’ after making such outrageous claims about the subject, which would be a shame for such an iconic and respected actress. PreviousSusan Sarandon Plastic Surgery: Success Or Fail? 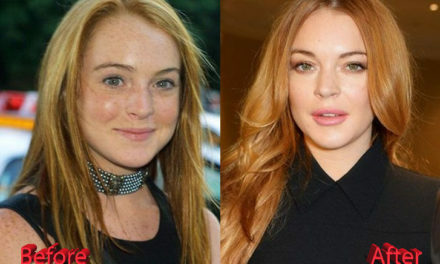 Lindsay Lohan Plastic Surgery: An Improvement?